If you’re familiar with me on Instagram, then you know how important it is for me to provide my plant babies with the humidity they require. 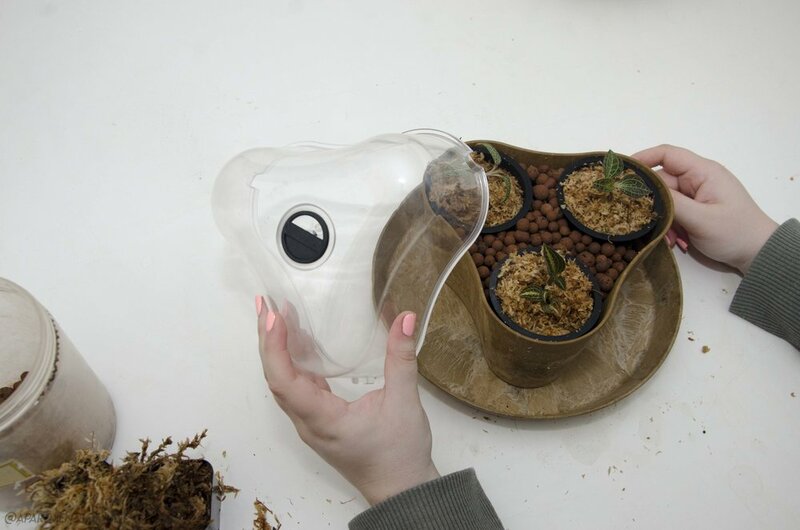 When I saw Root and Vessel’s Tri-Terrarium that came with the dome, I was instantly sparked with ideas on how I can use it in the apartment. 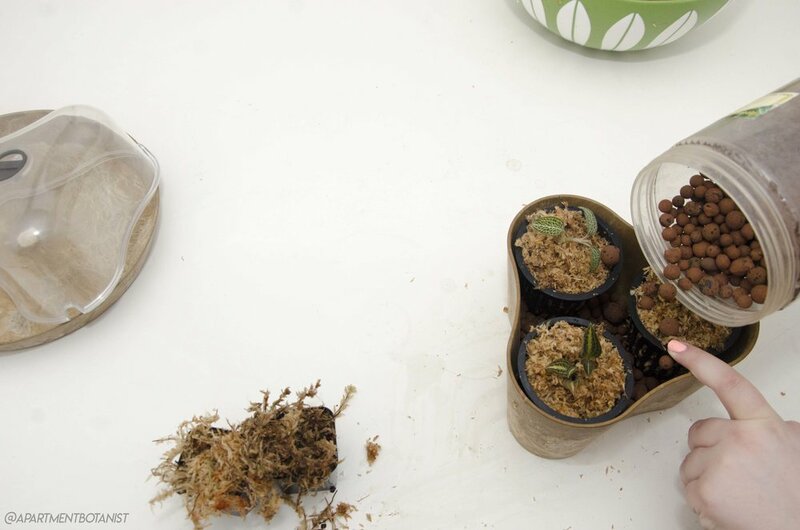 First was the Forest Floor, a more traditional way of using the terrarium, as you can read here in Part 1. 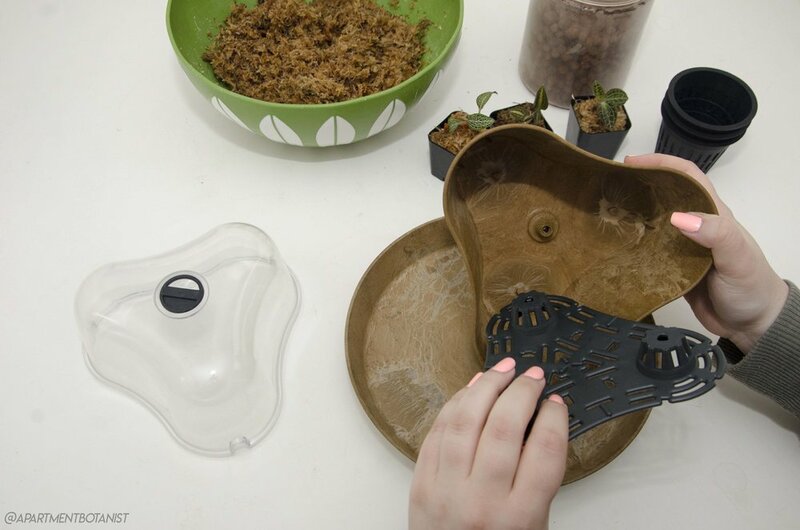 My second idea was using it as a humidity house which can be used for new plants that are acclimating to the apartment. 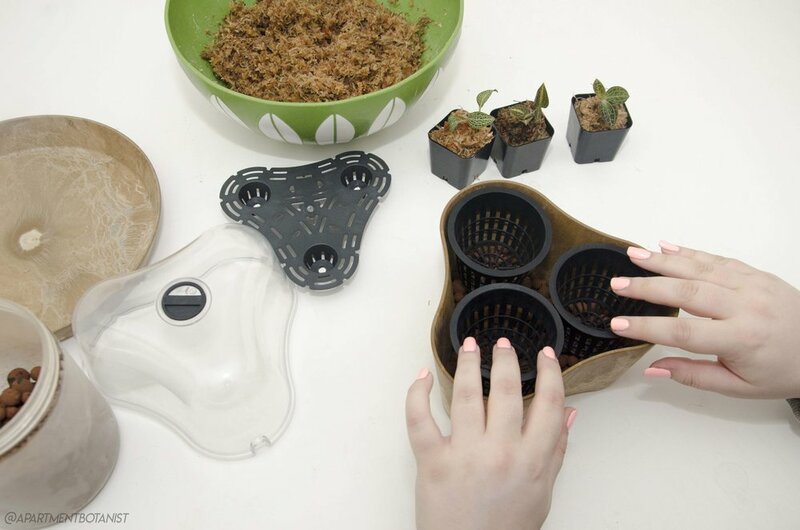 This is in general perfect for plants that need that extra humidity to thrive. 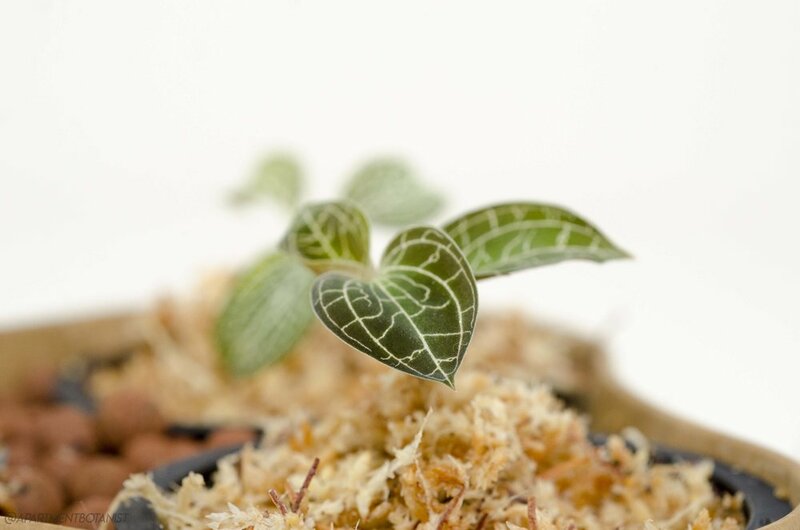 I hope to create and set up a vivarium this summer and filling it with jewel orchids, so I’ve been purchasing the plants I want as I find them. Since they require quiet a bit of humidity to stay happy, I thought keeping them here in the Tri-Terrarium was a perfect solution as a temporary home filled with humidity. 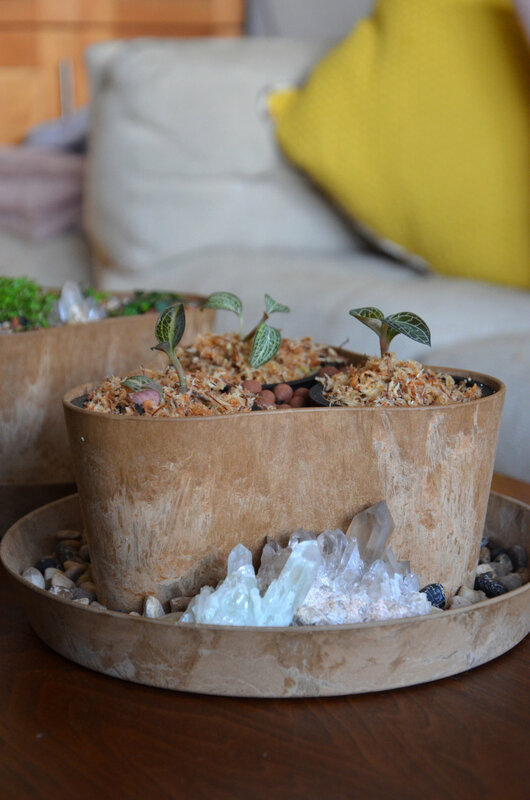 Check out my steps below on how I step up this humidity house in the Tri-Terrarium and Napa Tray planter. 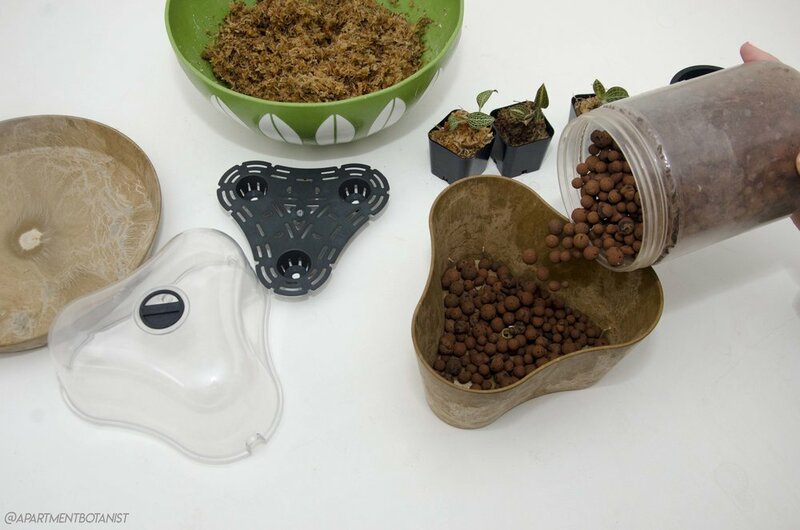 Now you can use this for any plant that might require more humidity, acclimating or regrowing. The concentrated humidity will really help. 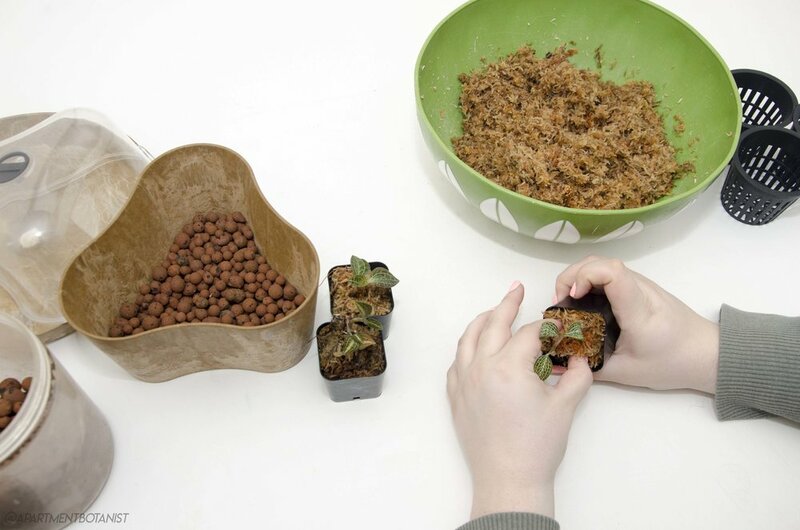 -Flip your Tri- Terrarium planter over, we are going to keep the plug in for this set up. 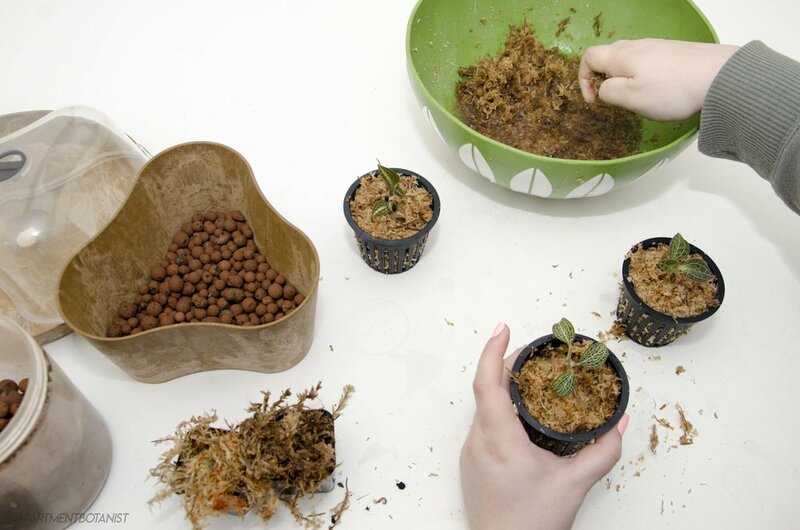 -Start pouring in the hydro balls to create a base layer for the pots to stand on. -Next, grab your 3 inch slotted pots and test if the levels are right. you want it to be fairly flush to the top. 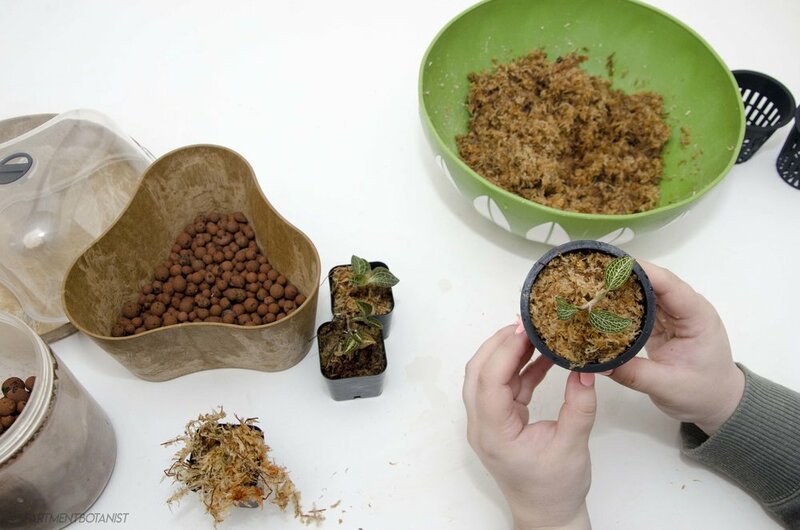 -Once you have that set, start taking the plants out of their original medium and give them fresh sphagnum moss or soil. 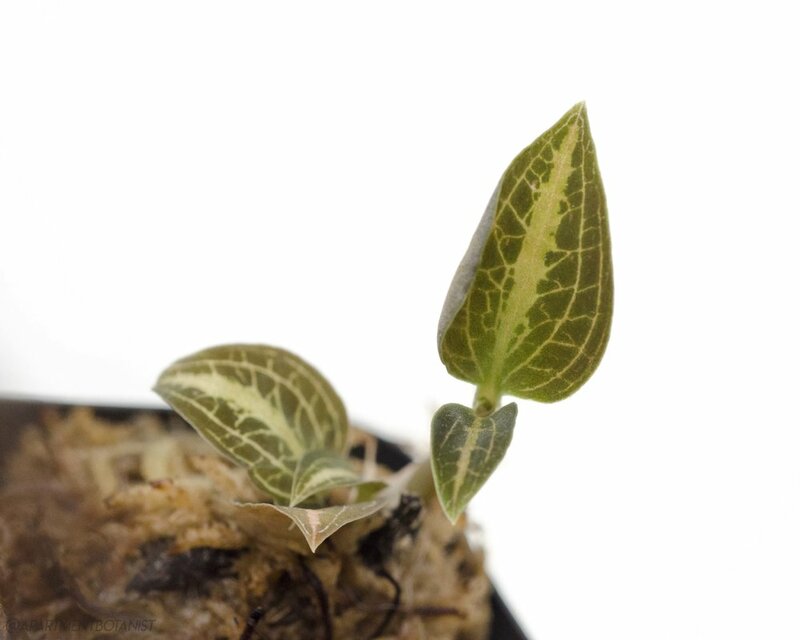 -Finish potting up your plant. -Repeat for all your plants. 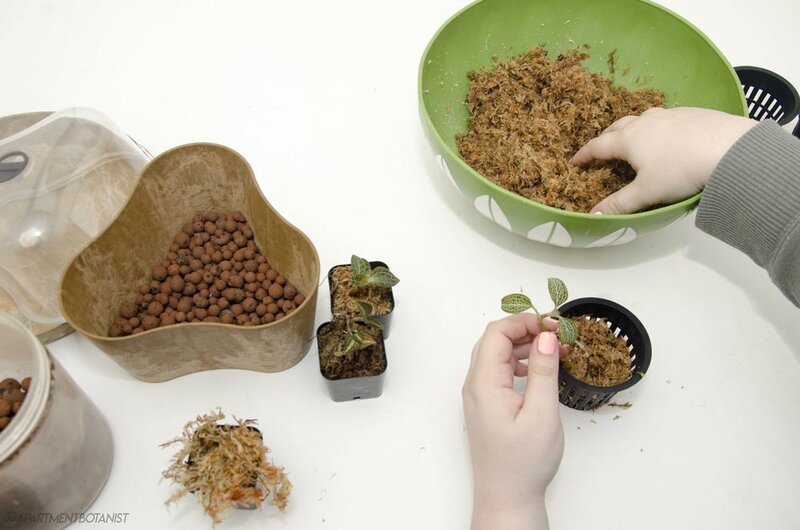 -Once your done, begin placing the potted plants into the Tri-Terrarium. 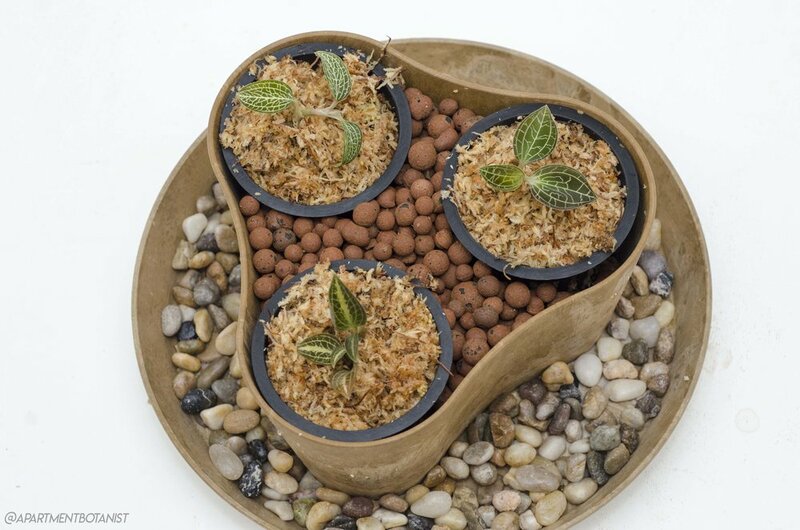 -Next, grab some more Hydro balls to fill in the space in between the pots. -Once your all done, feel free to water or mist the plants. 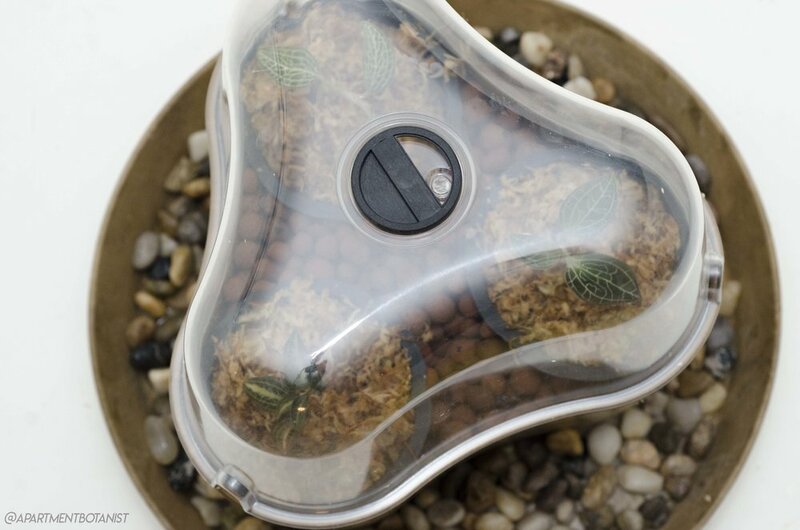 -Go ahead and place the Tri-Terrarium on the Napa Tray and grab your dome cover. 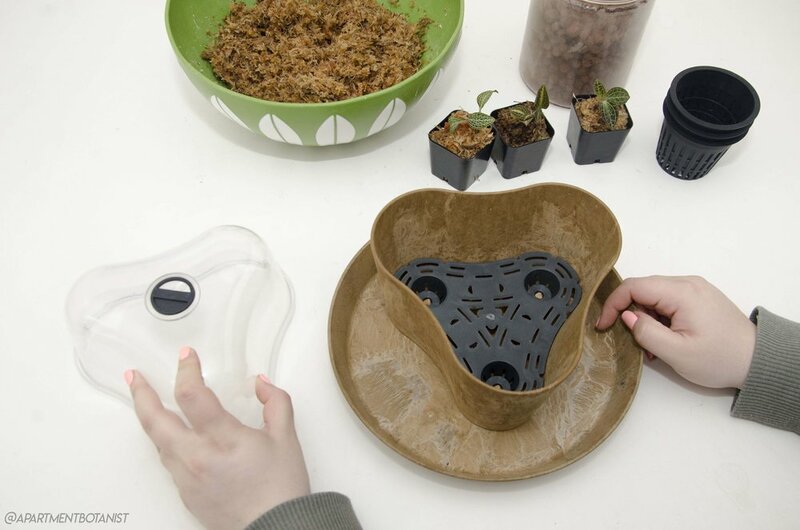 -Lastly, I placed pebbles and water around the tray to act as another source of humidity. This step is optional. 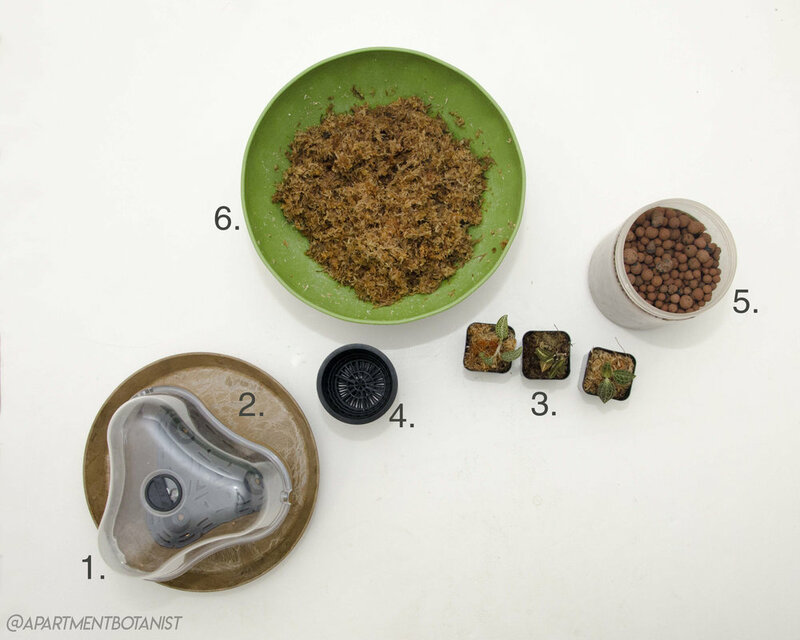 I hope you enjoyed this step by step guide to creating your own Table Top Terrarium Humidity House! 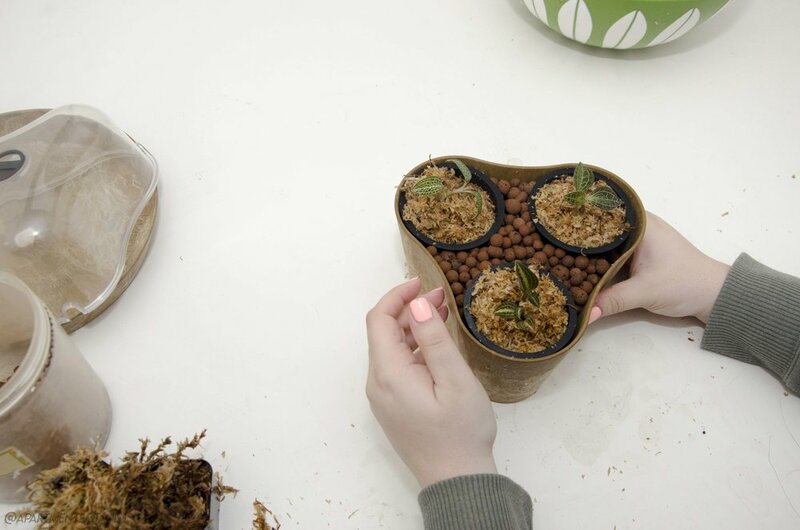 Let me know in the comments below or tag me on Instagram, @apartmentbotanist, if you give this project a go, I would love to see what you create! Check out Part 1 and my other unique way to use this Tri-Terrarium.